February 2, 2013 – Journey to my heart…. I am in my kitchen looking at the window to my backyard this morning. I am struck by the beauty of the snow lazily falling onto the growing piles of accumulated snow. I have my candle lit in the house, my dog sleeping at my feet, the heater warming up my space, Peter is watching cartoons upstairs and I have all my Visiting Angels shifts filled for the moment….. I am choosing to savor this moment for there is a mystery in how the rest of the day will unfold. We live with that mystery all the time, but ever since a car accident took the life of my brother, the mystery feels big, heavier in a way…. And yet in this moment, I am faced with a decision of where to let my heart wander…. Do I reflect on my sorrow or my gratitude…. Do I reflect on my needs or my provisions…. Do I reflect on my goals and dreams or on my story which is filled with God’s presence….. I am going to choose to stay in this moment of beauty…. I am going to choose to enjoy this moment before the phone rings again, the shoveling begins, the gym calls my name, the sorrow creeps in, the laughter and the tears collide…. 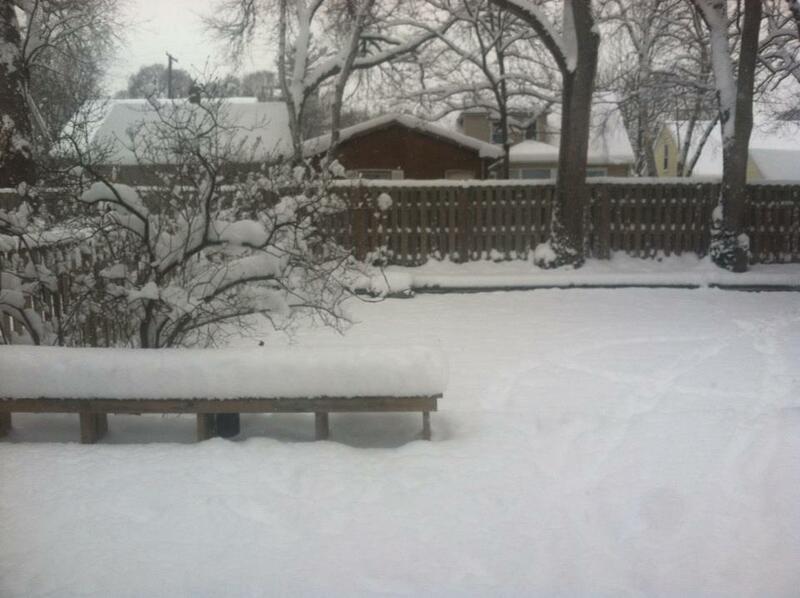 Of watching the snow fall lazily in my back yard….. Author trishborgdorffPosted on February 2, 2013 Categories Uncategorized1 Comment on Winter wonderland….